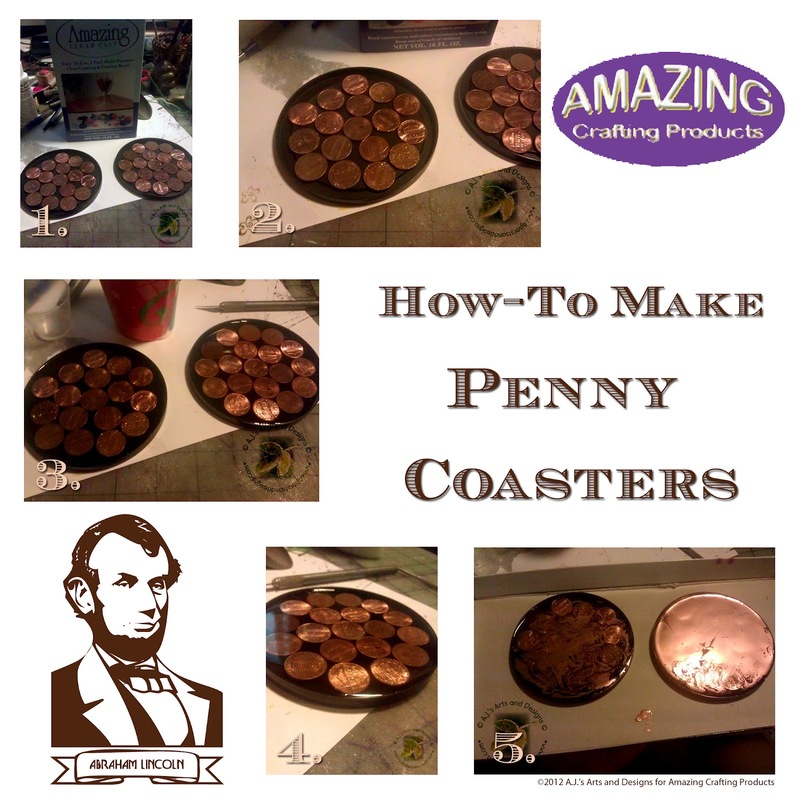 Penny Coasters for Amazing Crafting Products | Who Are You Calling Crafty? I love coasters and am constantly looking for things to make coasters out of. This idea came from our afternoon walks and the pennies we find almost daily. 2. Line the coffee lid with pennies. 3. Mix resin according to package and pour the resin. 4. A shot of the resin curing. 5. I added a little bit of Copper Mica Powder to the top just for intrest. Allow to dry undisturbed for 24- 48 hours un-mold. A link to the instructions would be mighty helpful. I’ve been searching through your blog and can’t find it.